Since we are destined to be away house sitting over the Christmas period this year, we decided to adopt the warm-up festival of America: Thanksgiving. Other reasons include a forlorn attempt to replace that most horrendous "festival" of Halloween with something that’s actually enjoyable. Also, since we now have most of our money back from the grabbing, incompetent hands of the blasted Icelandic financial industry, we actually did feel like giving thanks. 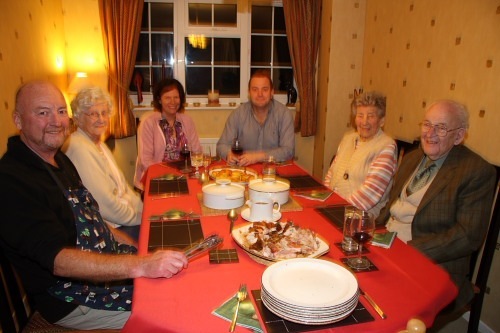 So, a family gathering was called including both our mothers together with my cousin Mark and his partner Linda. Naturally, my mother’s companion, Tony, came along too. The only thing one can really do for a Thanksgiving dinner is smoke a turkey. 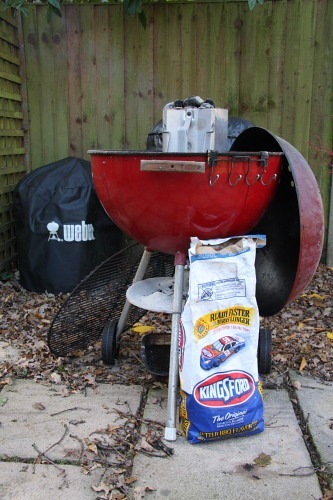 Time to splash out and extract some wonderful, hand-imported Kingsford charcoal. Since this stuff is so precious, I think long and hard before using it. After a good deal of internal turmoil (hickory or mesquite, mesquite or hickory) I finally settled on hickory smoke. Game on! Linda pitched in to the spirit of things by making a splendid key lime pie so, apart from deflecting distractions to fix Carol’s far too successful attempt at destroying her Manfrotto tripod head, all I had to do was concentrate on a main course. After about two and a half hours, a wonderfully bronzed, hickory smoked turkey jumped from the Weber shouting, "eat me, eat me". 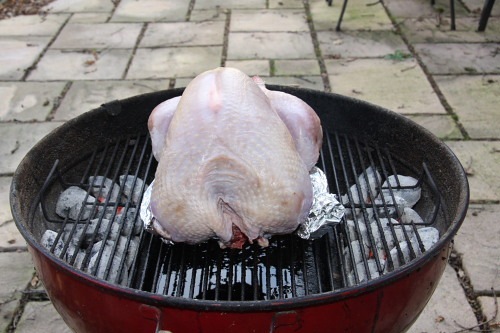 This, of course, we dutifully did and gave thanks for that most wonderful of American inventions, the Weber grill (a.k.a. barbecue, in the civilized world). Naturally, to keep the American theme relatively authentic, we had some sweet potatoes, though we avoiding adding extra sugar, choosing to roast them instead. Everything was washed down with sufficient wine, including the key lime pie which went very well with a white sticky graciously provided by my cousin Mark. This is more fun than Christmas, mainly because there are no crowds clogging the shops – well, no more than is normal in England, anyway. 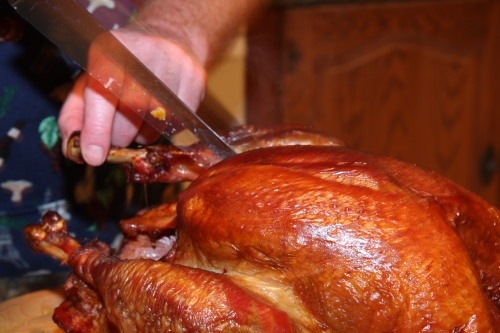 Picking up a turkey for Thanksgiving may cause a few raised eyebrows (you’re doing what?) but it’s much more civilized than the scrums that one has to fight through for Christmas and Easter. I will stop celebrating our usual festivals and go for something less strenuous in future. I commend this approach to the house.